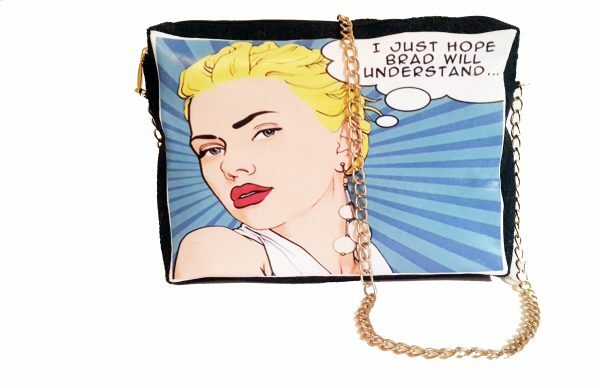 Not just for comic book fans, this bag screams innovation. Trade in your everyday handbag for this charming purse. Adding it to a plain outfit, will give you instant flare. 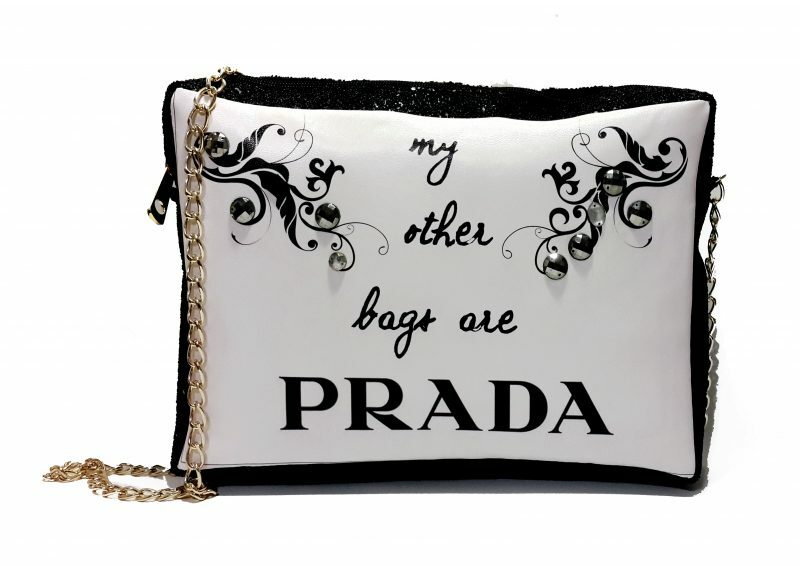 Make a statement with this trendy bag. With its unique style, and the black contours contrasting with its white background, this bag is sure to liven up any outfit. Big enough to carry all your items, it can also be turned into a clutch by tucking in the golden chain. 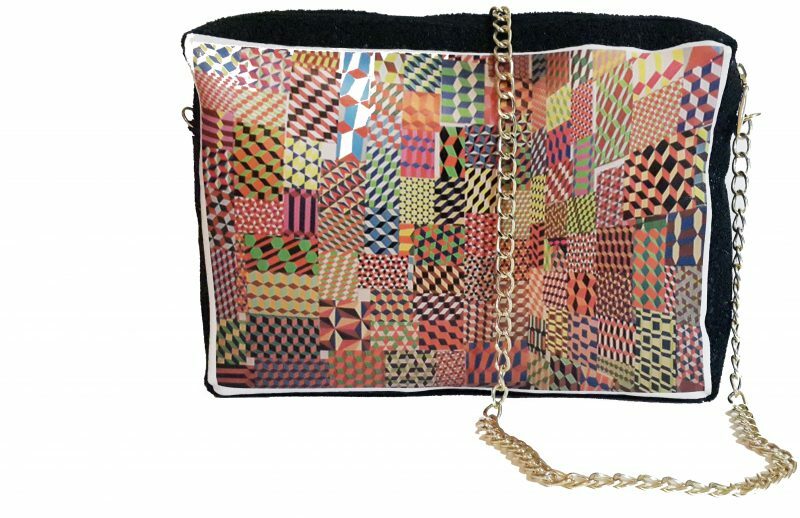 Made up of a medley of colours, this bag makes for a fun addition to any outfit. With a dangling golden chain, the different patterns come together perfectly to form a very trendy and innovative item. So ditch your standard bag and opt for this item for a more energetic feel. 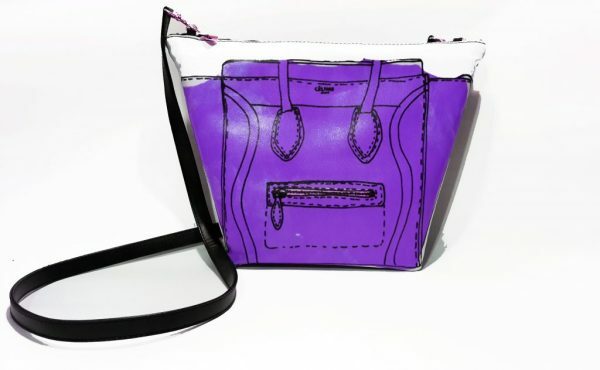 Innovative and vibrant, the striking purple colour of this bag will add style to any outfit. With a zipper drawn down the front, it is an original item that is bound to turn heads.